Hamburg / Stuttgart – moovel Group, a subsidiary of Daimler AG, today announced the full takeover of Familonet GmbH, based in Hamburg. The familonet staff will be integrated to strengthen moovel’s development team at the company’s Hamburg site. Familonet’s app, which has gathered more than 2 million registered users, will continue to be offered in the future. 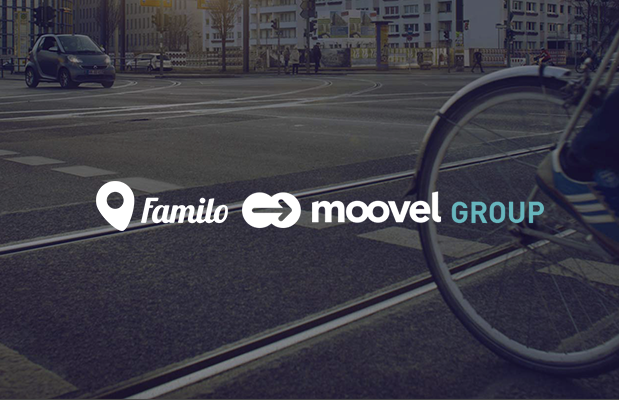 moovel creates an operating system for urban mobility, allowing access to various mobility services – including booking and payment. With its free app for iOS and Android, it combines public transport options as well as car2go, mytaxi, rental bikes and trains of Deutsche Bahn. Most offers can be booked and paid for directly inside the app. By taking over the mobile business Familonet, moovel gains access to geofencing and live location know-how that the startup has established in its successful history. Familonet is best known for its award-winning app that uses intelligent geolocation features for families and groups of friends, roommates or co-workers to facilitate communication in everyday life. With the acquisition, the moovel group increases the size of its Hamburg location, integrating the full team of 13 currently working for Familonet. “Familonet’s expertise and skills ideally complement the moovel development team at our Hamburg site. To have the mobile geolocation technology and this team of developers with its location-expertise is a great gain for moovel”, Oliver Wahlen, Chief Technology Officer of moovel Group. moovel’s Hamburg base is growing to almost 40 employees. A total of more than 250 people are currently working for moovel in Germany and the United States. Familonet was established in October 2012 as a startup by Hauke Windmüller, David Nellessen and Michael Asshauer and gained backing from a group of investors. Cutback Ventures GmbH, HR Ventures GmbH, West Tech Ventures GmbH, Venista Ventures’ investment vehicle Media Investment GmbH, Innovationsstarter Fonds Hamburg GmbH, LINEAS System GmbH, Badisches Pressehaus GmbH & Co. KG, VRM GmbH & Co. KG, Haas New Media GmbH, media + more venture Beteiligungs GmbH & Co. KG and Golden Sword GmbH have all joined the ranks of Familonet investors. The group of investors congratulates the Familonet founders on their success and unanimously emphasizes the positive conclusion of this deal, which allows the startup to reach the next level in its promising development.